Some of the books listed below are may be hard to find, or out of print and – though they can sometimes be found on online auction sites. This owner's guide tells how to buy and care for a Whippet. Caroline Coile is an award winning author who has written many articles about dogs, and has been a sighthound owner since 1963, with her dogs nationally ranked in conformation, obedience, and field trial competition. Topics include choosing the right housing, establishing a regular routine of care, and advice on feeding and exercise. Special attention is paid to health care and preventative treatments, while breeding from your pet is also discussed. Anne Vickerstaff has been involved with Whippets for nearly 30 years, establishing her kennel of Rystone Whippets in 1973, and has built up a reputation for breeding sound, top-quality dogs. She has enjoyed considerable success in the show ring, judges the breed, and has recently started racing her whippets. Colonel Ted Walsh and Mary Lowe have a vast store of knowledge on the Whippet; Col Walsh particularly on working Whippets while Mrs Lowe is a leading international judge of the breed. The book covers the history of show, coursing, hunting and racing whippets as well as breeding and care of the breed and the details of show champions up to 1982. 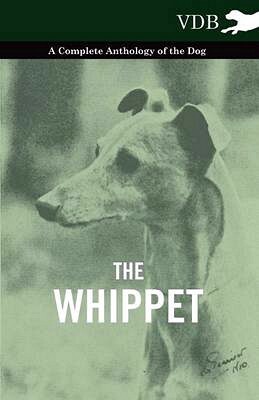 This book traces the history of the Whippet, highlighting the most influential dogs in the show ring who have become important producers for the breed. There will be detailed chapters on racing, Lure Coursing, and show training, as well as invaluable advice on breeding, rearing, and caring for the Whippet. 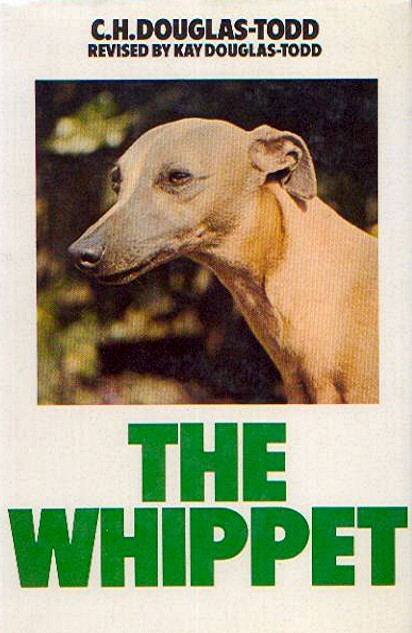 The Whippet, written by renowned Whippet breeder, judge and historian Bo Bengtson, is the bible on the Whippet. 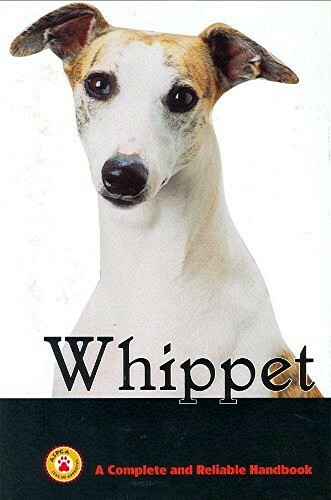 This book's detailed chapters on everything from the history of the breed to the breed's accomplishments in dog shows around world to the Whippet's participation in racing and coursing events make it the most important and beautiful book ever published on the Whippet. 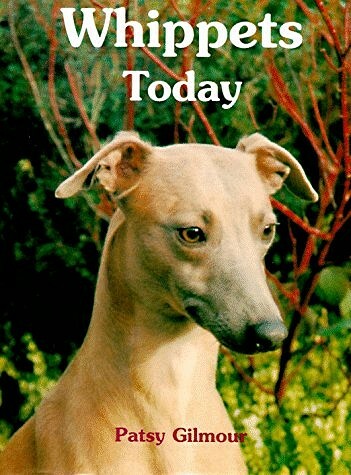 With hundreds of vintage and modern photographs, this book is a must-have for every whippet owner. Elegant and affectionate, the Whippet rose from his humble beginnings as the "poor man's greyhound" to become an agile professional race dog and a highly prized companion and show dog. Today the breed enjoys great popularity around the world. The Whippet is hailed among the fastest of all sighthounds, though he is fairly small compared to the Greyhound. For the right active family, the Whippet makes an adaptable and fun-loving pet, as swift of mind as he is of foot. This book gathers together all the best early writing on the breed from a range of books, many of them now rare and much sought-after works, all of them written by renowned breed experts of their day. A treasure troves of information about the breed - The physical points, temperaments, and special abilities are given; celebrated dogs are discussed and pictured; and the history of the breed and pedigrees of famous champions. Well illustrated with numerous photographs of leading and famous dogs of that era. Books used include: My Dog And I by H. W. Huntington (1897), British Dogs by W. D. Drury (1903), Hounds by Frank Townend Barton (1913) and many others. Originally published in 1904 this early work on the Whippet has been republished using the original text and illustrations. Freeman Lloyd was an expert on dogs and his book on the Whippet was his best, and is much sought after by true "whippeters." As a respected member of the National Whippet-Racing Club, he wrote from his wealth of experience. The book is illustrated with vintage photos of typical dogs and diagrams of tracks. Contents Include: Make, Shape and Characteristics. Breeding. The Whippet as a Snap-Dog. As a Race-Dog. As a Sporting Dog. As a Show Dog. As a Companion. Training. Tracks and Racecourses and Racing information. Kennels. Food and Clothing. Diseases. 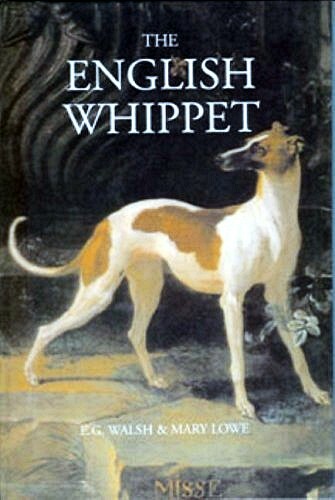 A fascinating read for any whippet enthusiast or historian of the breed. 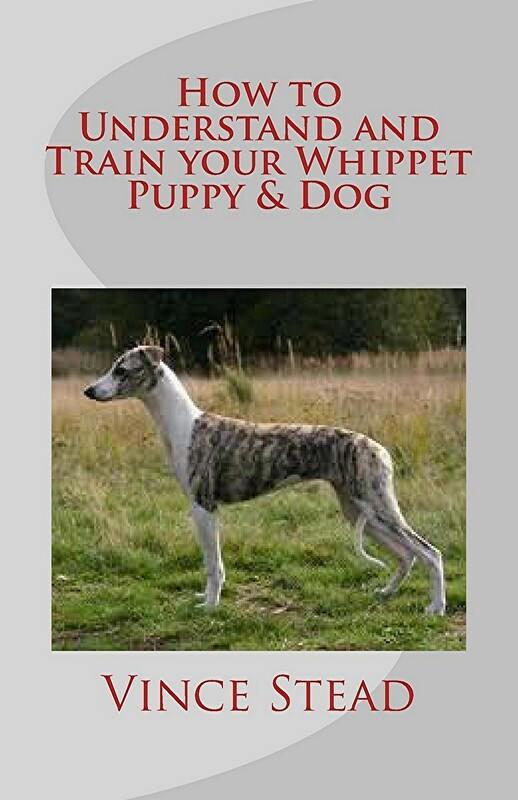 Containing much valuable information and advice on how to choose, raise and train a Whippet - whether as a pet or potential show dog - this book will appeal to the beginner and hobbyist alike. Also sections on coursing and racing as well as insight into the highly successful Hillsdown and Nimrodel kennels. The author has successfully bred, owned and show Whippets for over 30 years - and bred both the sire and dam of the only Whippet to date to have won BIS at Crufts - Ch Pencloe Dutch Gold. An excellent, well written book. Whether you are new to owning Whippets or an old hand in the breed you will enjoy these factual and informative chapters on breeding, racing & coursing. 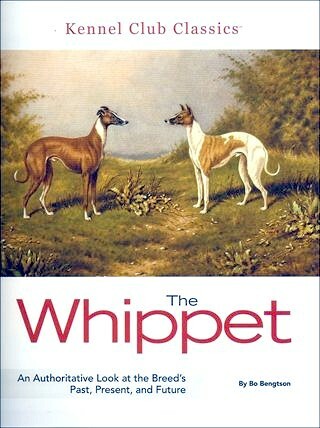 A must for anyone interested in the Whippet. Essential reading for the owner or potential owner of the Whippet, this handbook offers helpful information about the care and training of the Whippet. 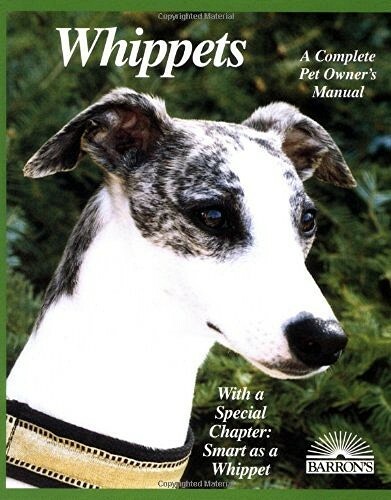 The only full-color pet guide available, Whippet is a welcome and reliable resource on breed history, characteristics and pet attributes, breed standard, grooming, puppy care, housetraining, nutrition and feeding, basic obedience training, proper health care, and the congenital and acquired disordes that concern all purebred dog enthusiasts. Over 75 beautiful color photographs illustrate this one-of-a-kind handbook that proves to be both complete and reliable. THE WHIPPET - A DOG ANTHOLOGY gathers together all the best early writing on the breed from our library of scarce, out-of-print antiquarian books and documents and reprints it in a quality, modern edition. This anthology includes chapters taken from each of the following books, all of them written by renowned breed experts of their day. All of the original photos and illustrations are also reproduced. Contains Chapters From: THE ILLUSTRATED BOOK OF THE DOG By Vero Shaw - This rare and desirable work was first published in parts over the years 1879 - 1881 and thoroughly described every aspect of over sixty breeds of dogs. Vero Shaw was a leading authority and editor of dog books and periodicals in the late nineteenth century, but this particular comprehensive work stands as a final testimony to his immense knowledge of the subject. 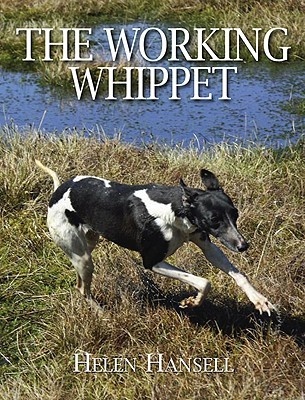 The only whippet book to deal in any depth with training and working A practical training manual covering everything from puppy to fully trained dog "The Working Whippet" is devoted to the breeding, training and preparation of the whippet for work in the field. Beginning with an introduction to the breed, its origins, role and importance in the past and today, the book then moves into practical tips on what to look for in a puppy, caring for the puppy, feeding, and worming, as well as early training, teaching skills for the field, working by day and night, care of the working dog, and selecting a stud dog, whelping, and rearing a litter. 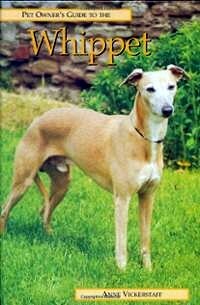 Whippets is a handsome, colorful and thoroughly useful guide to one of the most elegant creatures in the purebred dog world. 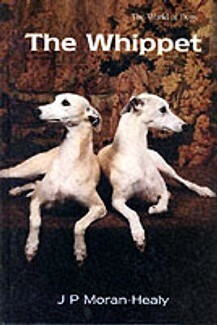 Whether you have been a Whippet person for decades or are a newcomer to the breed, this book will be most welcome as it sensibly examines the breed's requirements, qualities and temperament, traces its history, and gives expert, firsthand advice about selection, maintenance, breeding, grooming and showing. Tons of outstanding photos, as well as line drawings illustrating the standard, are featured in this wonderful book. Pegram first became involved with Whippets when he was only a boy. He would become a successful breeder, active in both showing and racing. He was President, National Racing Secretary and editor of the American Whippet Club's newsletter, Whippet News. The first edition of this book was published in 1894 and proved so popular that it was reprinted several times over the next decade. These books were originally printed as cheap editions which would be easily affordable. They were softcover and printed on cheap paper. This is the reason that so few have survived. This is the FIRST book on the breed and, as such, it offers us a wonderful glimpse in the early history of the breed. 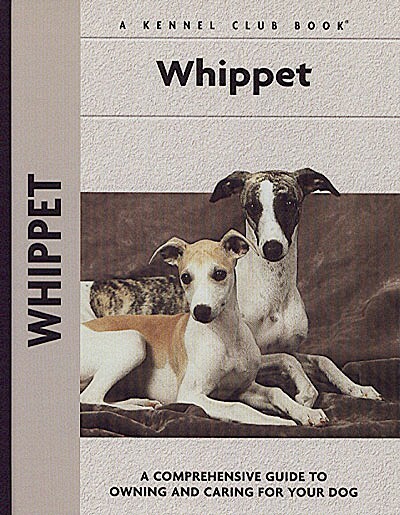 It was an exciting time when Whippets thrilled racetrack crowds with their style and speed. The book takes us inside organized Whippet racing, the racetracks on which they ran and the rules of the game. 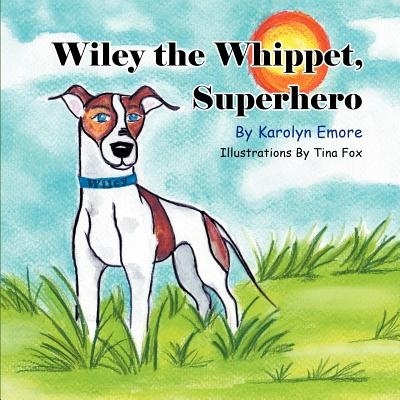 Young readers learn about whippets, including their temperment, appearance and care. 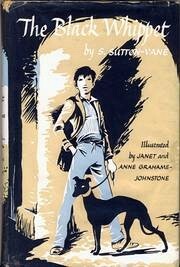 A reprint of the 1957 UK classic, giving the early history of the breed, it's show career, points and breeding. 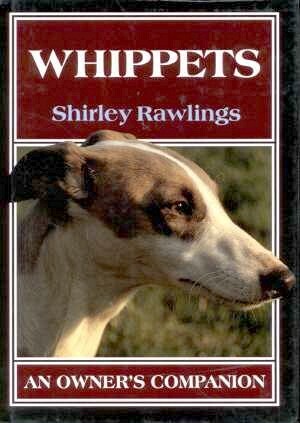 Every Whippet enthusiast will want a copy in their library. Selling collectible Whippet products to others who love the breed can be a fun and profitable business. This book will get you started and the Wholesale Vendor section will give you all the contact information you need to get the products at wholesale prices. Everything from calendars to wind chimes. Great products for fund-raising for rescue groups and dog clubs.